a. He did an errand for his mother. b. He ran an errand for his mother. I'm not a native english speaker. This expression 'do an errand' is easy for me to understand. We also have this expression 'do an errand' in our tongue. But in 'run an errand' I don't know what does 'run' mean. Can you run as fast as Mike? I ran to meet her. But when natives use 'run an errand'... What nuance of meaning of the word 'run' is here? 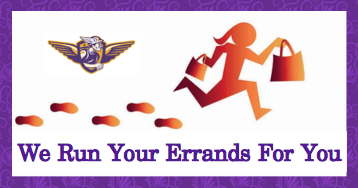 "Run an errand" is an idiom. Its meaning is not built up in a natural way from the meanings of its parts. I can think of no other expression where "run" essentially just means "do", but it does here. I think LawrenceC's answer gives a good explanation of how it makes sense for this particular idiom to have evolved. I'm going to run to the store and get grapes. You intend to go to the store just to buy grapes and come back. You aren't intending to stay at the store and browse for additional things to shop, talk to people, etc. While an errand is usually something you do and not a place, the word errand typically implies you have to travel to places such as stores, etc. So you never say run to some errands but merely run some errands. Simply put, ran an errand means the same as did an errand. Here, run is not literal. Run has many meanings, which include perform, complete, accomplish. Furthermore, you could drive or walk to your destinations and still say that you ran errands. In he runs to do an errand, I would take runs to be literal. In other words, in order to complete his errand, he physically runs. Notice that this is different in meaning from he ran an errand. In my opinion, the image includes a running person to imply that they will do the work quickly, promptly. It is does not imply that they will literally run to do the errands. Chances are they will be driving around town. In this case, run means to do, to complete. However, run/ran can have many meanings. What does “drink for England” mean? What does “broken question” mean? How to ask for the meaning of a word or phrase? What does “Stands the wind in that quarter” mean? What does “blind to patterns” mean? Which cartoon character is she referring to? And what does this conversation “How's my house?” “Fulfilled” mean?